I think they sell these new for £200 now, but if you want the fancy looking version its £300 for the sharktooth inlays and the red overcoat. As I said before, played this and it felt buzzy - neck looked v. straight though, I think the setup may have just been poor. Never knew the FR was an official though, I'd have assumed it was just a licensed? and looks like you got a bargain there as well . yes I think this one I have has had some new parts fitted. Im pretty sure the pickups are not orignal either! All in all, even brand new its still a bargain in my eyes. Still cant wait for my Prestige though! Nice review there Matt, this guitar looks fine for metal playing. I guess it is versatile with those HSH pickups. You can change the pickups maybe something like a SD JB&59 classic combo and some fender in the middle and you got yourself a great axe in many years to come. ROck on! Im playing my Cort X-6 for 1 year now and im still impressed with its performance. 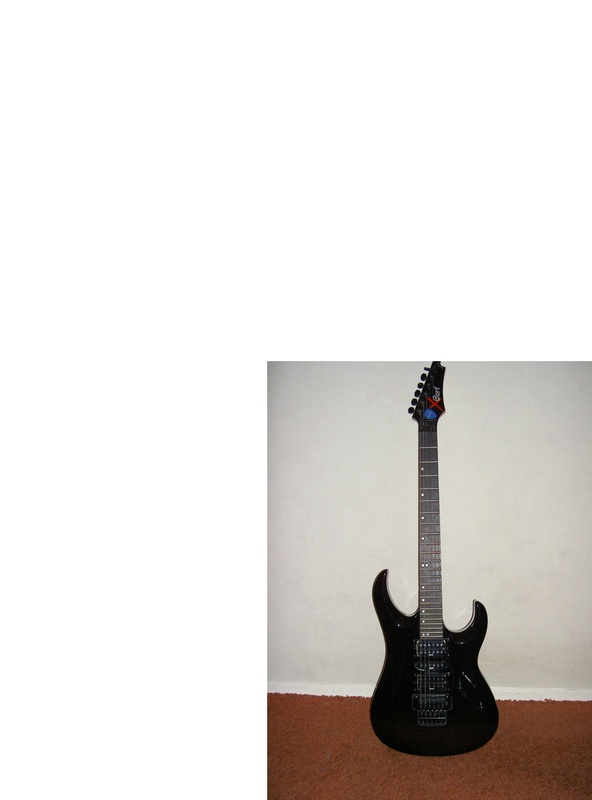 Some people told me to buy a more expensive guitar but i dont want to. My Cort gives me al the pleasure and different styles i need. Especially semi acoustic and full throttle distortion on the humbuckers. Great review man, congrats on the new guitar! Good review, I didn't know about coil taps!, seems like this guitar has an excellent quality/price ratio. great review, i personally dont like the white dots on the upper side ..
Nice review and nice guitar man! Congrats on buying it. I think the H S H gives a lot of options, and becasuse the possibility to make the humbuckers singlecoils makes even more posibilities. One thing, isn't the plug in the way? It's at your bridge, I can imagine you hit it when palmmuting or something like that. Overall looks very neat and I like the pickups!! Great review , thanks Mat! For sure man, its already seen ALOT of hours since i bought it I doubt many guitars have seen so many hours playing in my part of the world.